holy crap, Lars, calm down. Gosh, those conservatives...UGH! Lars needs to get fired from hosting radio already. anyway that arguement was brought up by both Lars and Tanya. 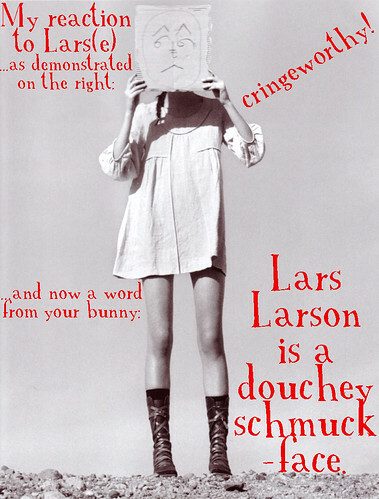 She starts getting scary and all defensive...even saying that people like "Lars" is what's wrong with the country. Both of them scare me. o_o Dan's pretty cool.